Herman and Evelyn Dyal with Herman, Jr. These are two of the sweetest women I have ever known (yes, I am biased) and one great man in the background. Dyal, Herman E. and Evelyn M.
Herman Dyal worked at the San Antonio Light for 25 years, the Houston Post for nine years, and the Houston Chronicle for 17 years. At his retirement he served as Manager of the Advertising Service Department. His newspaper career began shortly after his father died when Herman began delivering papers for the Light to help support his nine siblings. In 1953 he helped organize and became a lifetime member of the Spring Branch I.S.D. Bear Backers. He was also inducted into the Spring Branch I.S.D. Hall of Fame for his outstanding service to Spring Branch High School. He represented Houston Baptist University in the New Braunfels, Texas area from 1979 until his death. 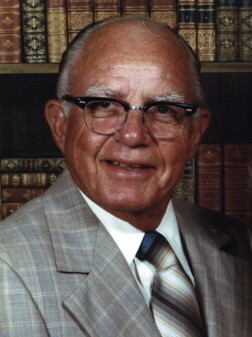 He was a member and deacon of First Baptist Church, New Braunfels at the time of his death.